SWITZERLAND, Basel — It’s no secret that the Obama administration (at the behest of the CIA) is plotting NFL-related terror attacks in 2014 as evidence by the recently foiled attack on the 2014 Hall of Fame Game on August 3, 2014. To say they are desperate for an NFL attack would be an understatement. Ever since the foiled 2011 Super Bowl Nuclear Terror Plot and the foiled 2014 Super Bowl Nuclear Terror Plot, both of which featured nuclear terror attacks on or during the Super Bowl, the Obama administration has been franticly attempting to execute an NFL-related terror attack, something they have not been able to accomplish due to timely terror warnings from Truther.org. Consequently, a Week 2 NFL terror attack may transpire during the Baltimore Ravens vs. the Pittsburgh Steeler game at M&T Bank Stadium in Baltimore, Maryland on Thursday, September 11, 2014, or during the of 15 NFL games which will be played. Aside from being the 13th anniversary of the 9/11 attack, ISIS-related propaganda in respect to a homeland attack and bio-terrorism has never been greater (see below). Back on July 25, 2014, Ravens running back Ray Rice was suspended by the NFL for 2 games after a video caught him knocking out his wife in an elevator. However, in order to bring unprecedented media attention to the Ravens just prior to an attack, the video was of the attack was released on September 8, 2014, just 72-hours prior to the game. With hours of the video being released, the Ravens cut Rice and the NFL suspended him indefinitely, never mind the legal aspect of double jeopardy. Needless to say, the entire incident surrounding Ray Rice and his domestic abuse case has been purposely blown out of proportion by the U.S. media in order to make a Baltimore-related terror attack on September 11, 2014, seem theoretically possible. An NFL bio-terror attack, should it happen, will most likely involve assault weapons, explosives, and/or some biological agent (e.g., acid, anthrax, smallpox, etc.) which could be used to target players, coaches and fans in attendance. 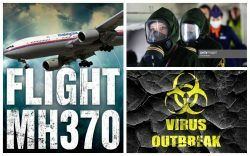 A bio-terror attack could be delivered conventionally or aerially and would most likely spark the bio-terror pandemic planned for 2014. Maryland is coincidentally bio-terror central for it is home to Fort Detrick which hosts the U.S. Army Medical Research Institute of Infectious Diseases (USAMRIID), the National Interagency Confederation for Biological Research (NICBR), and the National Interagency Biodefense Campus (NIBC). Fort Detrick was responsible for producing scientist Bruce Edward Ivins and the Anthrax strain which were implicated in the bio-terror attacks which followed the 9/11 attacks. In the event that a bio-terror attack is executed in America, it’s highly likely that the agent will have emanated from Fort Detrick, Maryland. In order to foreshadow the notion that ISIS is planning a major terror attack in America, a number of CIA-spawned propaganda reports have been published in order to psychologically condition Americans for the impending attack. This particular narrative was first identified on June 23, 2014, when U.S. Senator Diane Feinstein stated in respect to ISIS that “There will be plots to kill Americans”. A week later on June 30, 2014, CNN published a report entitled “How to keep ISIS Terror from U.S. Shores”, further confirming that ISIS’ endgame is an attack on America. Roughly a month later on August 8, 2014, Feinstein, the head of the Senate Intelligence Committee, stated that ISIS must be confronted forcefully or the U.S. will suffer homeland terror attacks. The senior lawmaker stated that it has “become clear” that the group is recruiting and training fighters from Western countries and possibly sending them back to cities in the U.S. and Europe in order to “attack us in our backyard”. 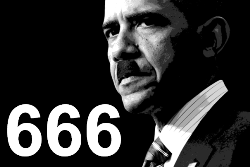 In order to provide a timely motive for an ISIS terror attack within the United States, it was reported on August 8, 2014, that Obama ordered airstrikes on ISIS terrorists in Iraq. Aside from being downright laughable, the report established the necessary media narrative for a revenge-like ISIS attack within the United States. Two days later on August 10, 2014, U.S. Senator Lindsey Graham stated that ISIS will attack on U.S. soil unless Obama stops the terror group’s rise in Iraq. Since ISIS is now the primary terror arm of the CIA, Obama will continue to ignore them until they unleash a massive terror attack in America. Roughly 3-weeks later on August 21, 2014, U.S. Senator Inhofe warned of potential ISIS terror attacks on U.S. soil: “We’re in the most dangerous position we’ve ever been in as a nation…ISIS, they are really bad terrorists, they’re so bad even Al Qaida is afraid of them.” Lastly, on August 24, 2014, a former CIA chief stated that it’s just a matter of time before ISIS attacks the West.